Ankur Choudhary is a professional pharmaceutical blogger from India having rich experience in the pharmaceutical field. After completion of his Masters of Science in Microbiology in 2002 from Gurukul Kangri University, he started his job in the pharmaceutical industry. He worked in various positions in Sun Pharmaceutical Industries and Emcure Pharmaceuticals Ltd. He started his blog in 2008 with sharing his knowledge with pharmaceutical professionals. 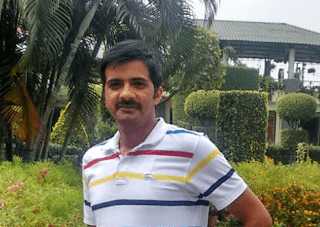 After getting a rich experience of Quality Assurance, Quality Control, Microbiology and Manufacturing, he quit his job in early 2012 and started India's first pharmaceutical professional blog with the name Pharmaceutical Guidelines. He writes articles on pharmaceutical topics related to cGMP, Quality Control, Quality Assurance, Microbiology and Manufacturing and Standard Operating Procedures for Pharmaceutical Industries. He has written more than 2500 posts on various pharmaceutical topics. Writing on pharmaceutical topics is his passion and it helps to improve his community. He is famous in the pharmaceutical field and getting a huge number of daily readers. He shares his knowledge that he gained by his experience to enhance the knowledge and career of pharmaceutical professionals in pharmaceutical industries. He continuously updates the regulatory guidelines provided by various regulatory agencies worldwide and pharmaceutical cGMP guidelines. He also writes on various pharmaceutical topics to explain the technical issues. He also gets daily a lot of questions from blog readers and spends his time to resolve their problems. He has also written a useful book "Write a Powerful CV" that helps the professional to achieve their career goals. In 2014, he started a question forum (ask.pharmaguideline.com) to provide a platform to the pharmaceutical professionals to share their knowledge and views on different pharmaceutical topics. Now it has become a big community of about 5000+ members. Where the community members solve the problems together. People love Pharmaguideline because they found everything here that they want to know and learn. You can join him on Email, Facebook, Google+, Twitter, LinkedIn and Youtube. Pharmaceutical Guidelines was started in 2008 to share the knowledge with the pharmaceutical professionals. It covers a lot of topics those are helpful in the professional career as well as to manufacture the quality products. and now it is the most read pharmaceutical blog. This is the biggest active pharmaceutical community now. It has 1,65,000+ followers on Facebook and 40,000+ followers on Linkedin. Pharmaceutical Guidelines is selected best pharmaceutical blog by the visitors. It is a well-designed blog that runs on recent technology.